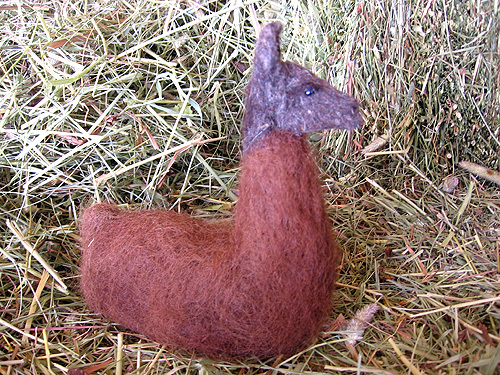 This is one of Gail Begg’s felted llamas. You can see more of her work at Artlandish Creations. Gail lives in the Burns Lake area of Central British Columbia. This is a 16" x 20" pastel painting of a baby llama done by Lois Livelli of North Carolina. The price is $85.00 US (unframed) plus shipping. If you would like to purchase this painting, you can e-mail Lois Livelli with this link. She will accept a money order or cashier’s check.